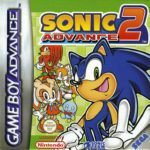 Tekken Advance (AKA 鉄拳アドバンス Tekken Adobansu in Japan) is a fighting video game released on December 21, 2001 developed by Namco and brings the action packed franchise into the Game Boy Advance handheld system. It features 9 default playable characters and 1 character that can be unlocked by playing throughout the game. 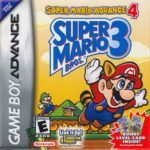 The gameplay is pretty similar to its predecessors though it lacks some of the attack moves and combos because of the GBA’s control shortcomings. The graphics look good and is pretty much recognizable despite it being a handheld game. Tekken Advance consists of 7 game modes: Arcade, VS Battle, Time Attack, Survival, Tag Battle, VS Tag Battle, and Practice mode. Unfortunately, the game has no Story Mode, but its arcade mode is intense so it really isn’t a big deal, and the final boss is pretty tough that you would have to make use of all your attack and combo moves just to finish it. You can also have fun and play with a friend through VS Battle and VS Tag Battle. Battle endless enemies until your health runs out in Survival mode which is kind of stressful considering your lost health barely recovers after advancing to the next stage. Tag Battle lets you play 3 characters, tagging up with each other to fight another team of 3. You’ll constantly have fun playing this mode since you’ll be juggling your characters and mix up their attacks as you keep tagging them. Ready to play Tekken Advance online? Practice mode lets you train and practice your attacks and combos without ever worrying about your health and your enemy’s attacks, though you can change it to your liking by pausing the game, selecting Training Dummy, and adjusting the settings for your opponent. You can change its action from standing to crouching, enabling guarding from your attacks, and even countering your attacks and doing a quick roll. Sadly, those are the only actions you can enable for your training dummy as the option for your opponent to fight you back during practice is not available. Though not entirely popular, Tekken Advance is a great game despite its shortcomings. It’s enjoyable for everyone who loves handheld fighting games, and it’s also a must have for the true fans of the franchise. 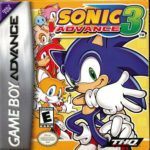 Tekken Advance game has only been ported to Game Boy Advance.